Capobility Built in sliding capo system, as found in our Nuvo banjo. Classic peghead A traditional shaped peghead design, as found on our Orion, Classic Aries, Atlas, Moonshine and Saturn banjos. 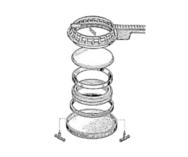 Compensated bridge A bridge that is curved to compensate for difference in distances of strings from the tailpiece to the tuner. 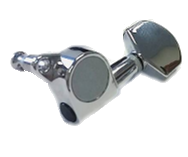 Enables the banjo to intonate properly up and down the neck, as found on our Enterprise bridge. Compound radius The radius of the neck varies as you move up or down the neck, designed to fit the contour of the hand at that location. Corona Nickel plated Heli-Mount frame. Standard on the Vintage and Photon. Cyclotronics Ball bearing support system found in Heli-Mount banjos. Enhances tone and facilitates smooth turning when tensioning the head. Eclipse Black Heli-Mount frame. Standard for most models. Enterprise Our compensated banjo bridge, shaped like a certain starship. 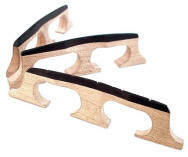 Excelsior Heli-mount frame for openback banjos, as found on our Moonshine EX model. Flex-Tone A banjo that has a traditional pot and a Nechville neck. Connected by the Flux Capacitor. Flux Capacitor Wedge-shaped adapter used to connect a Nechville neck with a traditional pot, this making it a Flex-Tone banjo. Fluxification The act of using a Flux Capacitor to convert a conventional banjo to a Flex-Tone. Geometric peghead Peghead design used on our Phantom, Meteor, Cosmos and Universal banjos. Strings stay in line all the way down to the peghead. Heli-Mount The frame designed to Nechville which houses the tone ring, rim, Cyclotronics and head. Cast from aircraft grade aluminum alloy to be strong but significantly reduce weight of the banjo. Heli-Mount wrench Special geared wrenches used to tension the head on a Heli-Mount banjo. High Five A frailing bridge with a raised fifth string. Inline Tailpiece A banjo tailpiece that keeps strings in a straight line from the bridge. Keeps strings in tune and assists in a clear, pure tone. Nechville tailpieces have an inline design for these reasons. Megaphonic Nechville’s 40 hole tone ring. Nechville Not a clever play on words. Its the last name of our founder, Mr. Tom Nechville. Nextar peghead Peghead shape with one tuner on one side and three on the other, as found on the Nextar and Zeus banjos. Nuvo A super custom banjo built to order but including Nechville’s Capobility system. Phantom A banjo with a tunneled fifth string. 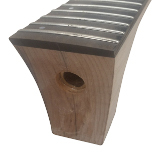 Radiused Curved fingerboard. Standard on several Nechville models. Built for comfort and for speed. Renaissance A translucent head made by Remo used on many of our banjos. Known for their clarity and even tone. Rolling fifth string nut A rolling nut that fits on the fifth fret of a Phantom. 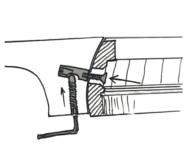 Reduces drag on the string as it enters the tunnel. 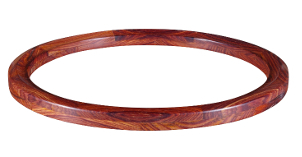 Available as an option on many Phantoms, standard on walnut Phantoms. Six Shooter Six string electric banjo. Very popular with contemporary country artists. Synth Banjo Midi-capable electric banjo when paired with a midi-processor such the Roland GR-33. Integral part of Nechville’s Cosmos and Universal models. TimbrTronic Exotic hardwood flathead tone ring with no skirt. 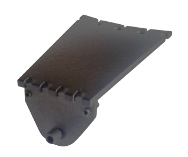 Designed to mount on Cyclotronics system. Reduces weight of banjo. 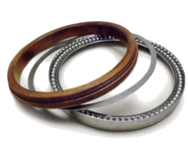 Triple T (aka TTT) A Timber-Tronic tone ring with a fitted Titanium hoop mounted to it. A more metallic sound than Timber-Tronic. Tone Spheres Ball bearings used in Nechville’s Cyclotronics system. Includes bearings made of steel, Delrin and ceramics. 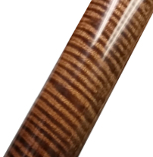 Each material has its own unique tonal qualities. Tunneled Fifth String Found on our Phantom banjos. A brass tube is inserted into the neck before applying the fingerboard. Fifth string slides into the tunnel and comes out to a tuner found on the peghead. Used in place of the fifth string tuner found at the fifth fret on most banjos. Warp Drive The Warp Drive is our current pickup solution. It features a proprietary circuit board that combineds and blends the signals from two sources into one mono signal. Need other replacement parts or work done for a custom project? Contact us and we'll do our best to help. Wondering how each model compares?